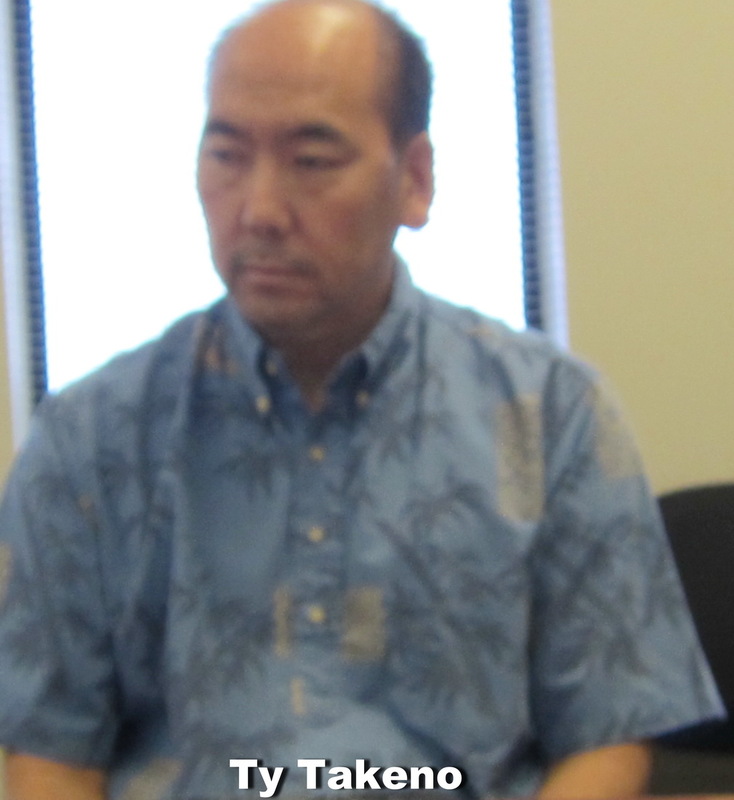 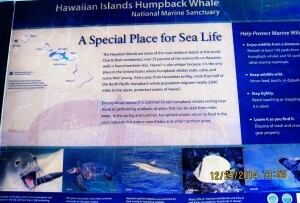 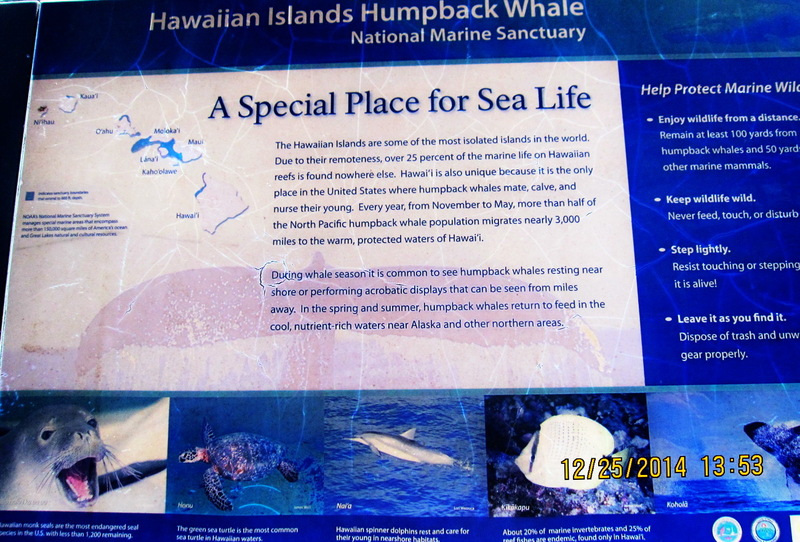 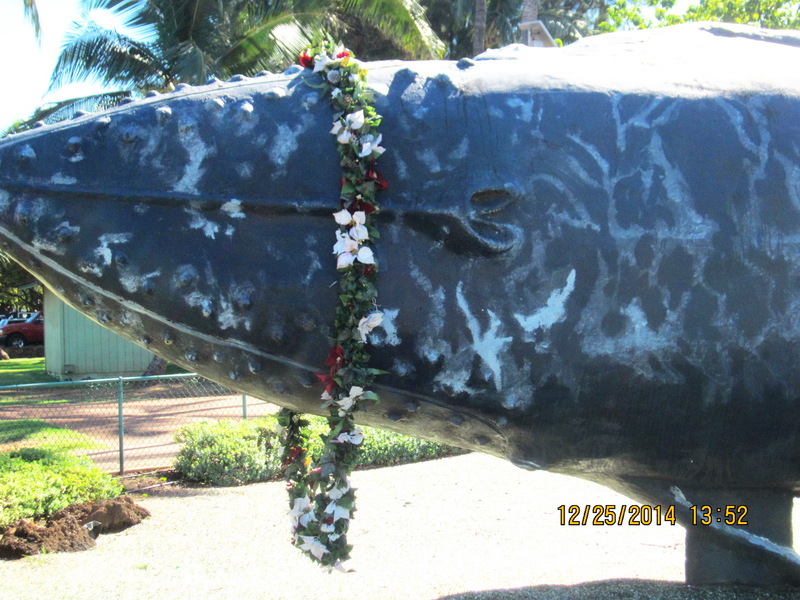 UPDATE 12/25/14 Now almost two years later with no fanfare, we see the Whale s “lei’d” again for the season, still protected by the accredited fencing. 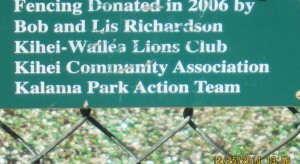 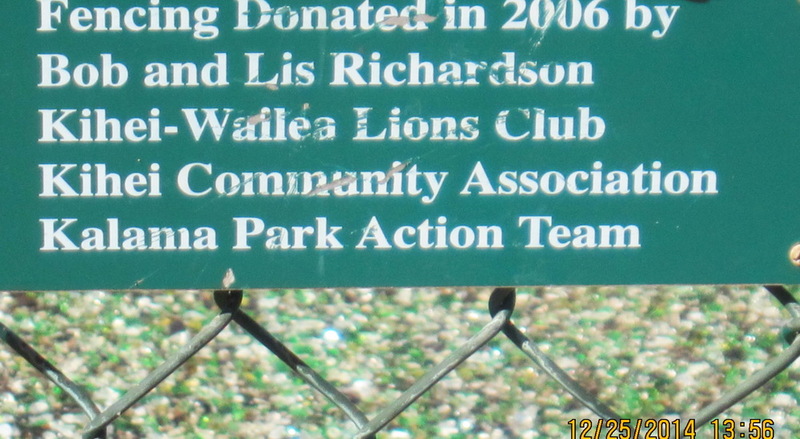 Our area seems filled with individuals and organizations, some accredited, some not, working to make South Maui a better place to live. 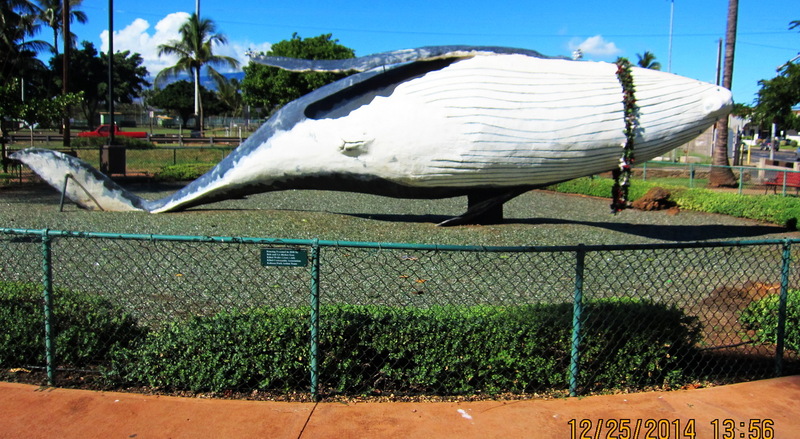 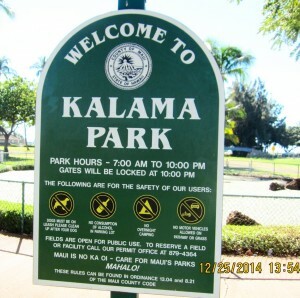 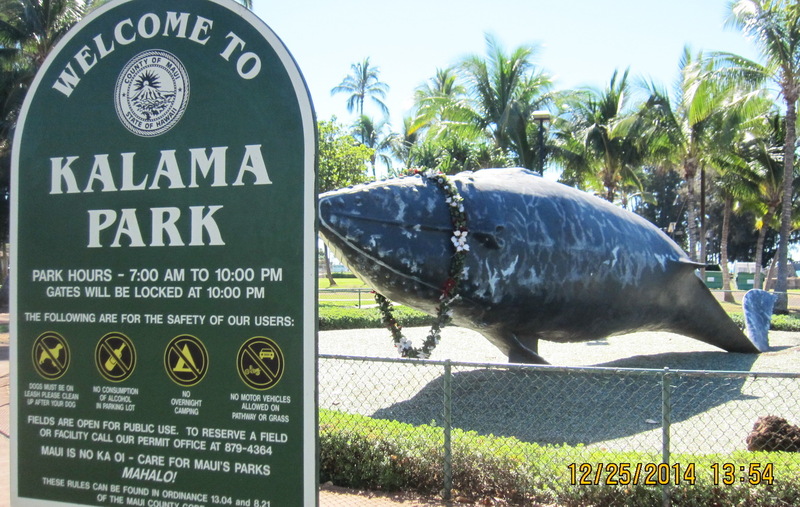 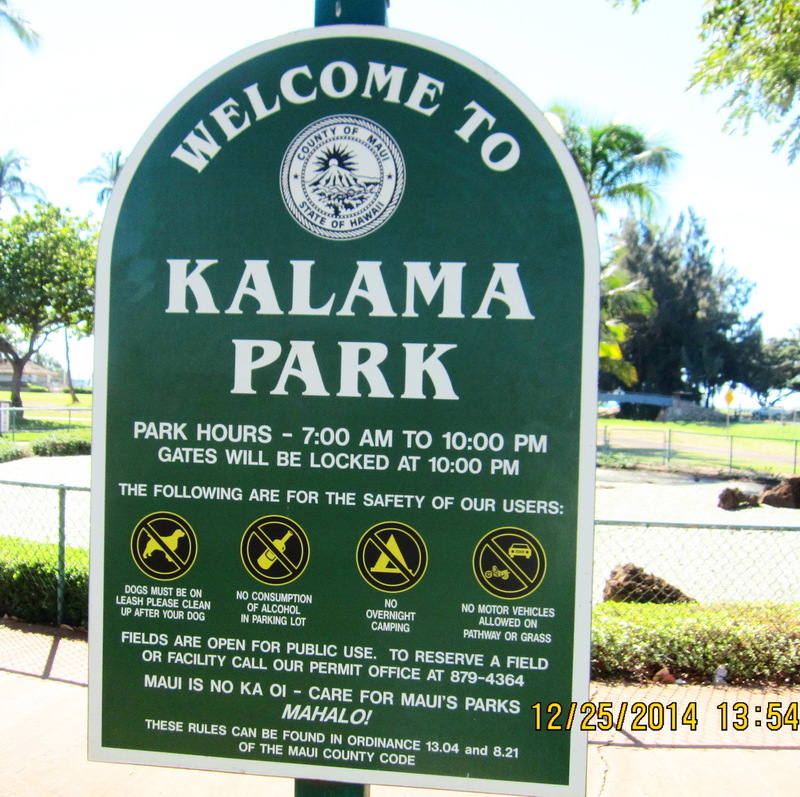 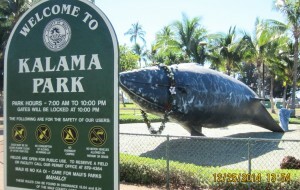 12/28/12 As sure as visitors swarm into South Maui at this time of year to enjoy much of what residents sometimes take for granted, the season is marked by Pauline Fiene’s placing of the huge lei around the whale sculpture at Kalama Park. 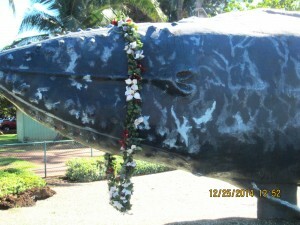 Maui artist Elan Vital created this landmark decades ago, shortly after his arrival on Maui, and as Christmas approaches each year, this huge beautiful lei is draped around its neck. 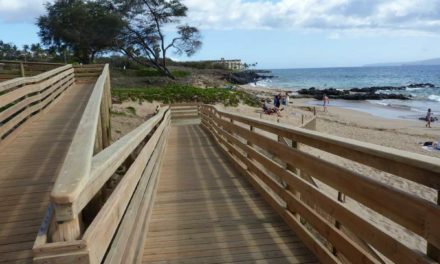 PreviousNEW Kihei local farm stand opens mauka Pi’ilani Hwy. 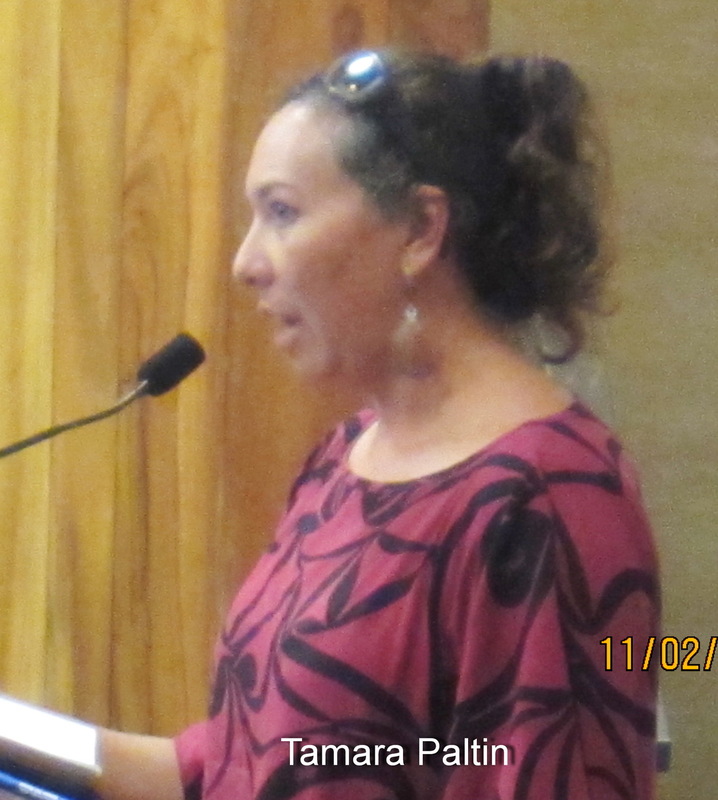 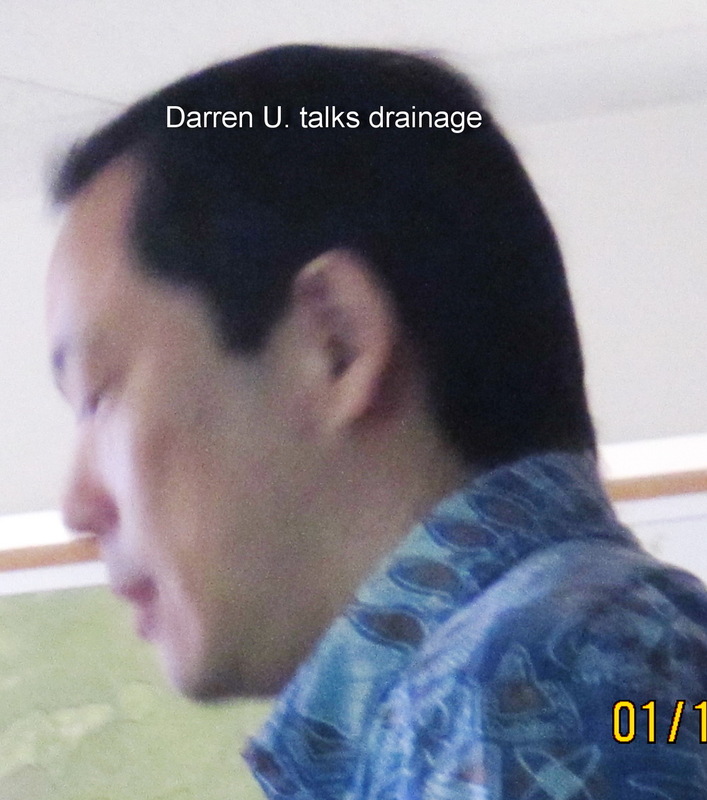 KULANIHAKOI RIVER GULCH BRIDGE PROJECT GOES BACK TO THE DRAWING BOARD!! 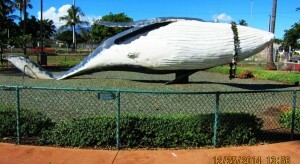 WHAT’ S UP THIS WEEK, THE LAST ONE IN JANUARY, FOR KCA?